To complete the level is not enough, you need to create lots of points to gain 3 star status. To score more points, create as many Bombs by matching the Jewels in a T or L shaped formation & the olive shape Gems (circled below) by matching 4 in a row. Then swap the Bomb to an adjacent olive shaped gem - it can be any colour Bomb with any colour olive Gem. This would create a mega blast and gain you lots of points. But the most points will come by matching two Diamonds together, it will clear the board of Jewels and give you a massive point boost. However, it is not easy to get two Diamonds nicely side by side for this to happen. Also, in a move based level, it is not always best to finish the level in the least no. of moves possible. In the finale, with each remaining move, one jewel will turn into a special Gem and the game will auto blast these Gems for you - but it is not always the best way to score more points for that level. You could play on a few more moves, trying not to "complete" the game yet to build up your score by creating bombs and gems. Then with about 10 moves left, finish up the game by clearing any remaining glass blocks and then let the game finish up the finale for you. Swapping a Diamond with a Gem of any colour will turn all the other jewels of the same colour into Gems too. This is also a mega points move that is second only to swapping two Diamonds with each other. For some levels where you need to destroy glass blocks that are located in impossible corners, you need a strong mega blast to clear that stage. If you enjoy playing Jewel Mania on your iOS devices like me, you would rue the painfully long time it takes to recharge your energy for playing the game. If you can't complete a level with two or more stars, you would have used up one energy level. If you finish up the maximum 5 energy levels, you have to wait 1 hour just to earn one more energy point before you can play the game again. To refill this energy level using gold is ridiculously expensive - this game obviously wants you to pay for in-app purchase of its gold. But you can actually instantly gain your energy levels by just doing this easy tweak. After using up all your energy, press the home button and go to Settings> General> Date & Time> "Set Automatically" to "OFF", then "Set Date & Time"
Sometimes the game is smart enough to detect that such that after u finish using one of your ill-gotten energy level, it will go back to zero again. However, I noticed that it doesnt do that if I had changed my time from AM to PM (ie. without changing the time, i am now 12 hours ahead). Dont forget to turn back the "Set Automatically" option to ON after you finish playing the game. If you want to recharge some more, just press home button. 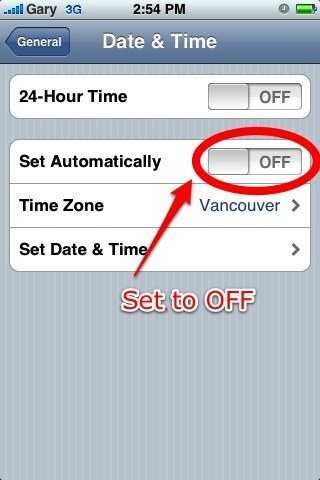 Go back to "Set Automatically" to ON then go back to the game again, you would see your energy level still at 0. Then repeat the above steps 1 & 2 again. Sometimes I would also set the time back a day, start the game again, then set the time back to present and then go back to the game again to refill my energy. You can also try setting the time back by a few hours or a day, go back to the game, exit the game, remove the game from background, set the time forward and then restart the game again. While the above methods may not entirely be foolproof as the game is smart enough to detect, I have enjoyed another 1 to 5 more energy levels by trying the methods above. Don't forget to check out my guide to other popular games like Candy Crush Saga, Bejeweled, Matching with Friends and Jewel Mania on this same blog! game are available, I am searching for the perfect cheat code to pass this level yet. Despite being a unified community, we gamers are an eclectic, often rather factional bunch. It's testament to the healthy diversity of games out there that so many, completely different preference groups and gamer types can exist side-by-side. Some of us playing games that others would never dream of touching. It does NOT cost any money to finish any level, as far as i can tell. it just takes A LOT of patience. I am at level 80 or so and have never paid a dime. Im at level 243 and Im stuck. I hate those levels where the jewels keep falling and for this reason, Im really stuck. Please help if you've got here yet! Thanks! Stuck on level 243. Please help if you can! Thanks! I was stuck on 243 for 2 weeks and finally got through, so it is possible. on level 276 now just trying to get more stars to continue on...I refuse to give them a single cent, so it's possible to get this far for free. And as for the energy recharge, just play 2 games at the same time, and you'll always have a game to play. I do Candy Crush with Jewel Mania. My son deleted candy crush so when i started over, i set my iphones clock back 2 years, and just always take a pic of it when i switch back, so that i always know exactly when to set my clock back to when i'm ready to play it again. hope that helps! When i passed it i beleive i can fly..
why chaging the iphone date and time does not work? why changing the date and time does not work? I have not paid a dime for this game. I am on level 49. Thank you for the tips about energy!